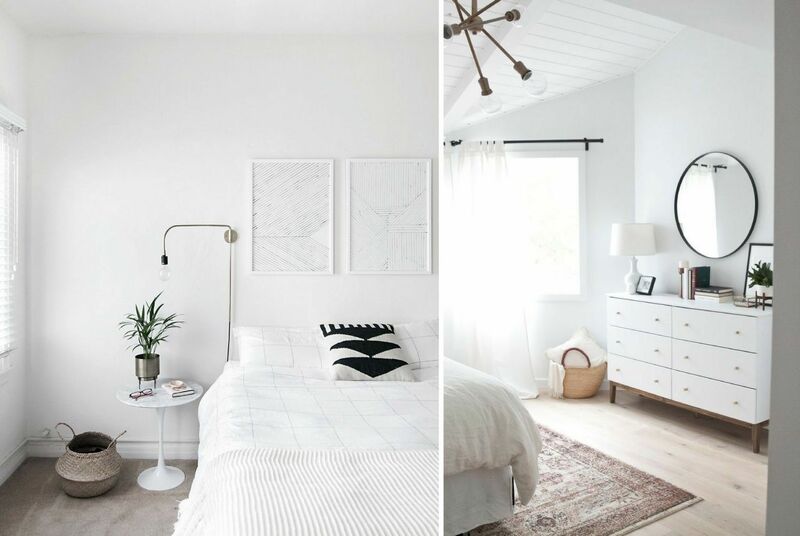 Minimalistic room is when the walls are the showstopper painted white for a clean look; it is when there is ample amount of light coming in through sheer and bare windows; it is also when you deal with all the neutral colours especially white. Hidden beauty is what briefly describes this ambience style. This basic and chic bedroom ambience can be creatively styled by using unique and outstanding bedside tables, like an antique chair or a rustic crate. Adding a touch of wood can add to the warmth and colour of the room without spoiling its minimal characteristic. Surprisingly, there is no need for sacrificing all the colours and go neutral; adding a little pop of colour to the sheets will prove harmless. The simplicity of this bedroom style is sure to give your eyes a much-deserved rest. Chaos	is	not	always	an	enemy! 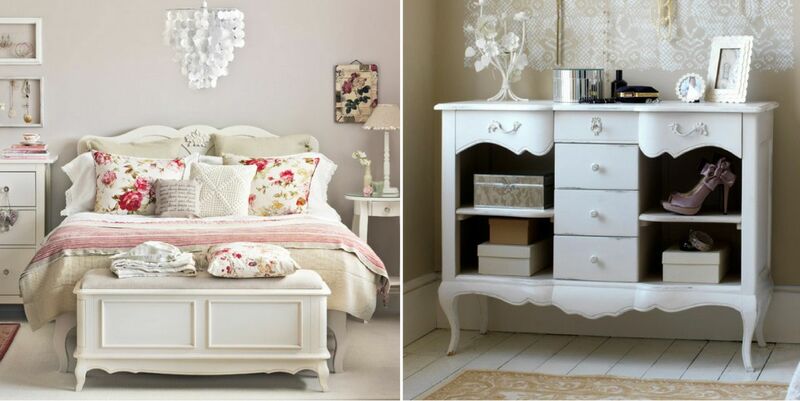 Feminine, charming, delicate and retro are the adjectives that best describes this bedroom ambience style. Infused with tones of vanilla and caramel, this bedroom will make you feel warm and cozy. Decorated with shelves of treasured trinkets and favourite finds, Vintage floral bedroom theme will cherish your favourite moments. This retro style shelter can be easily created by adding a lot of layers to the bed (bed linen, knits, furs) and French style furniture. Painted floorboards and worn out rugs will mysteriously add to this fascinating style. Textured fabrics and intricate wallpapers will complete the classic look of this style. To forget the stresses and strains of modern life, escape into this pretty looking vintage bedroom theme with tons of retro appeal. Closely linked to the minimal bedroom style, this simple Japanese ambience style does not mean going completely plain and adornment free; there is room for colour and pattern in this style as long as it is minimal. Zen bedrooms are sure to have balance and symmetry which is clutter free and relaxing. Comprising of earthy and warm colours, this style beautifully incorporates decorations like bonsai plants. White beddings and smart storage spaces is what makes this style completely practical and alluring. Full length glass windows effectively finishes the aura of this room. A Zen bedroom is one conducive to sleeping and rejuvenation, a room where it is easier to fall into slumber and a pleasant, uninterrupted sleep through the night. The unfinished, raw look with unpainted walls and bare appliances with a steely profile are few of the many characteristics of this modern day industrial inspired bedroom style. This style reflects a modern appearance, but it has a major impact aesthetically with its use of unfinished and raw materials. 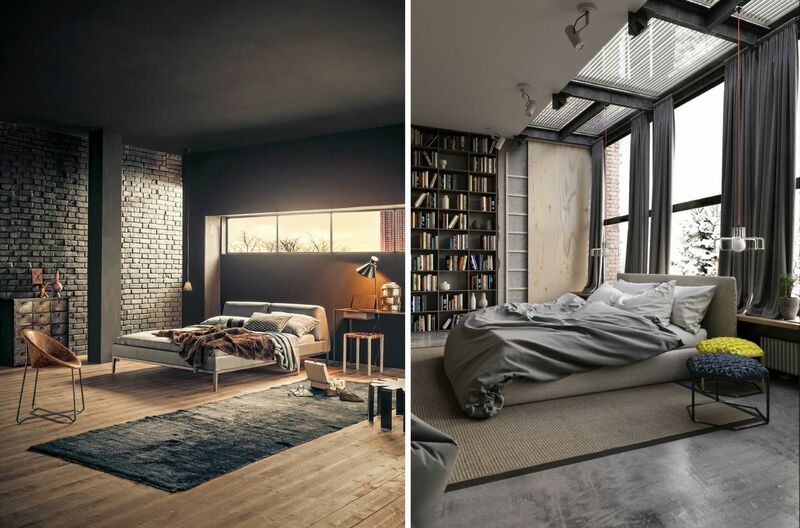 To achieve this look for the bedroom it is essential for the walls and the flooring to be concrete and the backdrop to be made up of brick wall. Furthermore, addition of wooden beams, open air conditioning ducts, water pipes, ceiling sprinkler systems, metal lighting grids, and bare stainless steel lends an industrial feel to the space. It is a style that combines authenticity with simplicity but with a twist of eccentric flavours and ambience. It is not cold and sterile, but inviting and enticing; it is not only about the neutrals but careful combinations of vibrant colours and it is definitely not about structured elements but soft textures and warm wood furnishings. Everyone has different takes on this style but it surely has some specific features that makes it so popular and yet so unique. Contemporary style; referred interchangeably as modern style, always has a focal point created by using creative lighting ranging from ceiling lights to bedside lamps. The colour palette of the style completely depends on personal choice and might range from dark colours to pastel shades. Though, this style can take many different forms but while this is an advantage, it’s also the reason why modern interior designs can differ greatly from one home to another.